Faith Alliance began as a mission to Oneida Indians in 1935 with Rev. Erwin Bruckner ministering. The “Quinney Chapel” was purchased to serve the small congregation, and in 1941, the church was organized. By faith, the small congregation grew. 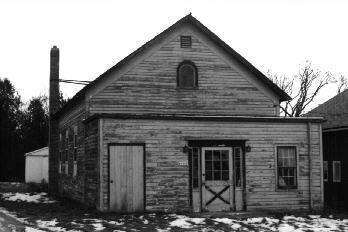 In 1962, the members took a giant step of faith and decided to move the church to the county seat, Chilton. 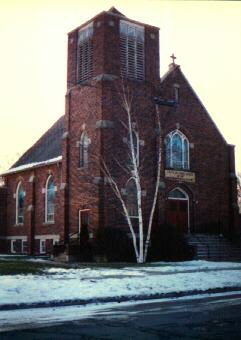 The former St. Martin’s Lutheran Church was purchased and the “Grand Street Alliance” held its first service in September, 1962. Rev. James Jensen answered the call to minister in 1973. The building was updated and a parsonage was built. 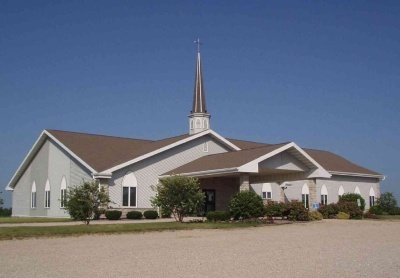 On January 1, 1988, as a reflection of our faith and fellowship, the name of the church was changed to “Faith Alliance.” We began two morning worship services in 1991 to accommodate the growth of the congregation. In 1992, plans for a new church were drawn up and a pledge drive started. With much of the money raised, construction began in 1994 with a great deal of the work being done by the people of the church. The congregation moved into the new building on October 22, 1995 and the old church was turned into a Youth Center. Dedication of the new church was on November 26, 1995. The building was planned with expansion in mind to accommodate future growth. With faith in God, we move ahead, trusting Him to guide us as He has from the beginning. May we be faithful to follow.